The famed White Beach of Stations 1 to 3 is the norm when one exclaims I’ve been to Boracay Island. But things have changed in my perspective. To be specific, I haven’t set foot on the white beach of Boracay Island on my last visit to the island one weekend. On one rainy weekend, together with a few of the best travel buddies I had, we took refuge at Station 2’s landmark - Crown Regency Resort and Convention Center. Though not a beach front resort accommodation, the experience was more than sufficient for a different kind of Boracay experience – it was jam-packed and comforting at the same time. With the line-up of activities in store sans the White Beach visit, it became vital if our accommodations can provide the necessary rest and comfort that we long for. Assigned in a Deluxe Pool View room, it was refreshing the first time I saw the room layout. The terrace gives a good vantage of the hotel’s amenities. To simply be seated at the terrace and drink coffee or people watch is a treat in itself. The air-conditioned room has two full-size posturepedic beds, a 32-inch LCD cable TV, kitchenette, mini-bar, full bath with hot and cold water, basic bathroom amenities with complimentary toiletries, operator-assisted phone facilities and desk. Click to check other room types and rates. 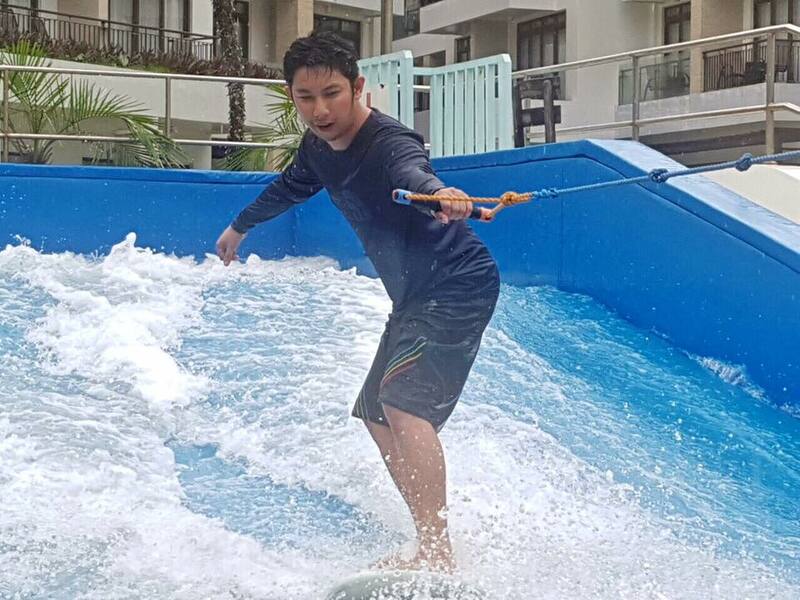 What makes Crown Regency Resort and Convention Center a standout from others, is the fact that it offers a variety of facilities that gives an ultimate tropical adventure while inside the comforts of the hotel. The iconic grotto that sits on Station 1 is becoming an inevitable gauge of whether one has visited Boracay Island or not. Surprisingly, we were not able to visit the same. But the facilities of the hotel more than compensates for the island experience. A peek through the terrace of our room, the 1800 square meter wave and surfing pool comes into view. It complements well with the buildings that surround. 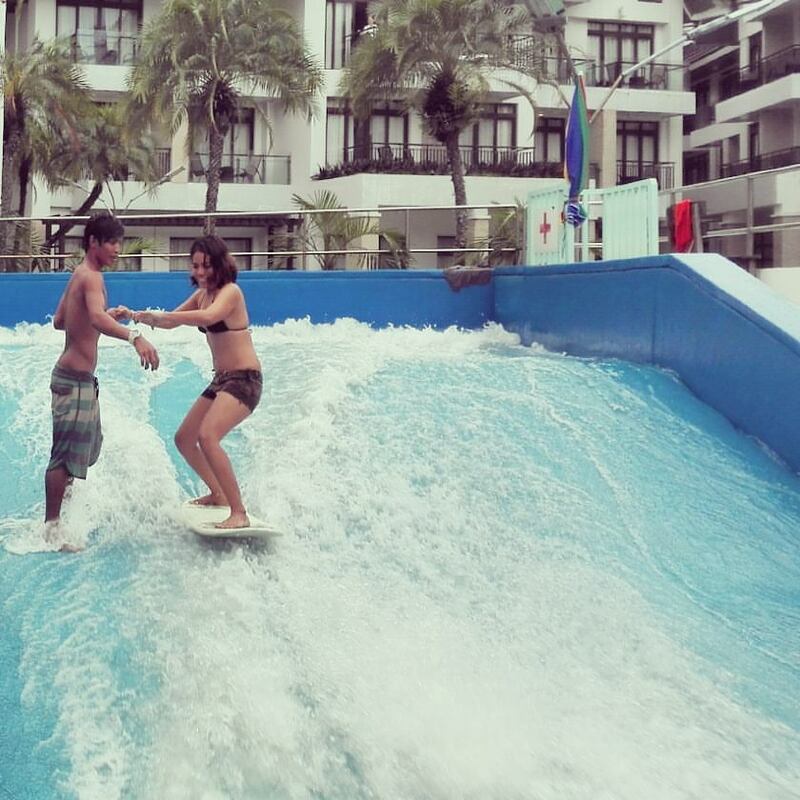 The country’s first surfing pool known as the Wave Rider is positioned at the center of the vast property. It is next to the tsunami wave swimming pool alongside a kiddie pool. Indeed, recreation at its finest. For a good vantage of the colorful life underwater, where marine creatures freely roam, there is an underwater bar featuring the oceanarium window. While at the lounge, we were able to witness the performance of the mermaids along with a hawksbill sea turtle that goes along with the performers. If you happen to ask why are the sea turtles here? They are under rehabilitation and are scheduled to be released on open seas. They are never held in captivity for the pure cause of entertainment. The Ocean Bar and KTV has private rooms as well which is good for friends and family bonding over countless songs while drinking. This is best for guests who don’t want to socialize much and compete with other guests when doing the videoke. 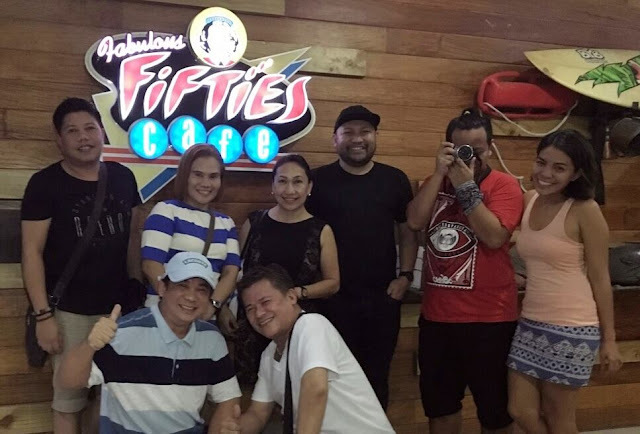 I had so much fun in the 1950s themed resto bar of the hotel that goes by the name of Fabulous Fifties. It is actually open even to non-guests and we did enjoy the crowd while we lounged one evening. We had the best videoke session while in Boracay Island at the said restaurant. Apart from the given tasty meals and refreshing drinks, service is also prompt and efficient. Next to the reception area of the hotel, there is a restaurant that serves Chinese cuisine. I actually loved the presentation and ingenuity of how the sets of dish were served. The Boracay Oceanarium provides a variety of experiences as well. You could either dive inside the oceanarium or view the marine life while strolling on glass enclosed oceanarium. We did both. The Boracay Oceanarium is home to one of the world’s largest discovered pearl that weighs 9 kg and a diameter of 18 inches. Apart from the facilities and room amenities of the hotel, service is definitely outstanding. They provide a very personalized service and equally as VIPs. The cheerful staff even made our stay homey. We may not have experienced all of the facilities of the hotel but having tried its major highlights made us conclude that going to Boracay Island doesn’t only mean sunbathing and swimming on the world-renowned beach, as accommodations do matter as well. Thank you Attorney! Sa Cebu naman.